Do you secret recipe club? If you don’t, you really should consider it. Each month we get an amazing blog to stalk and try some we wouldn’t normally. How great is that? The photography is great, the site is well planned out and Erin invites you into her kitchen with a writing style that has her friendly voice in your head. I was tempted by an awful lot of recipes but this one in particular called to me…. You see, I make horrible scones. I’m not just saying that so that my family disagrees and emphatically tells me how lovely they actually are. Mine are truly awful. But not this recipe. These are great. Place the flour, sugar, baking powder, salt, zest and nutmeg in the bowl of a food processor. Pulse to combine. I wasn’t in the mood to go downstairs and grab my processor so I just used a bowl and my hands. I also added my dried fruit at this point. I didn’t have currants so I used dried cherries and they were a dream. Add the chilled butter pieces to the food processor bowl. Pulse until mixture is crumbly, but pieces of butter are still visible. 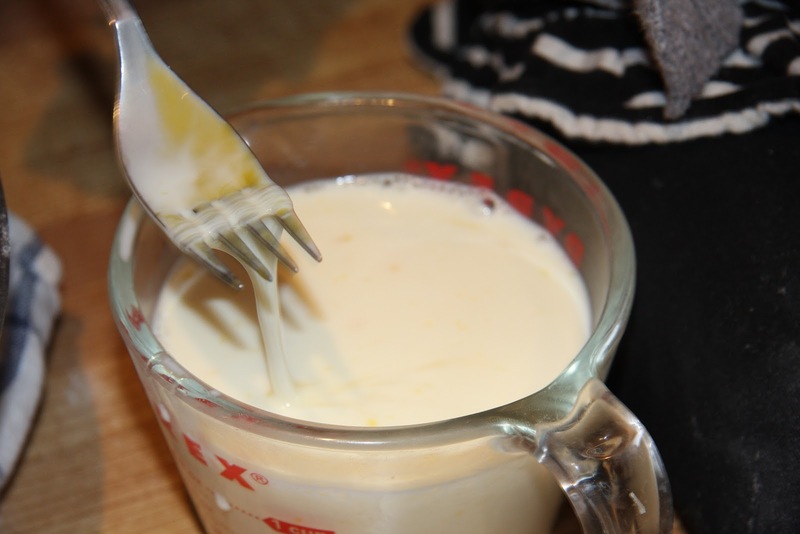 In a separate bowl, whisk the whole egg and egg yolk, then whisk in 1 cup of milk. Add to the flour mixture and pulse until dough comes together (do not over work). Discourage small one from drinking the egg and milk mixture. 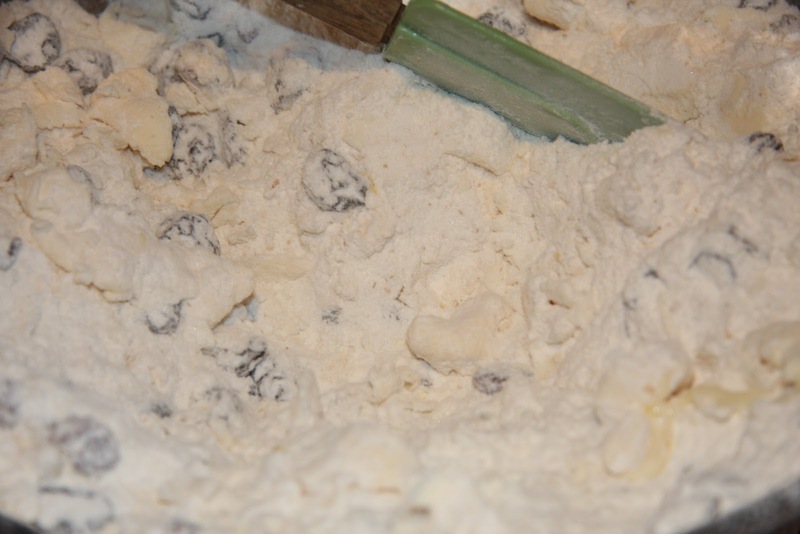 Turn dough out onto lightly floured surface and pat into a rough square. 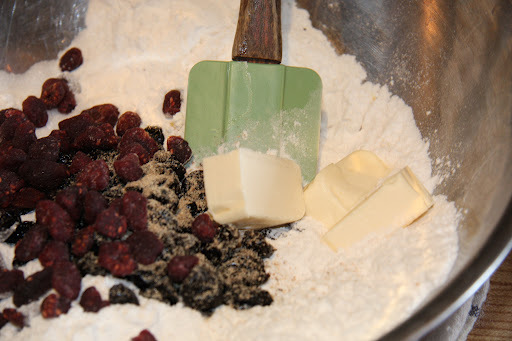 Sprinkle currants over the dough, then work them in by pressing them into the dough with your hands, then folding in half, pressing the currants in at the same time (it takes about 4 or 5 folds). Do you like the two year old’s handprint on mine? 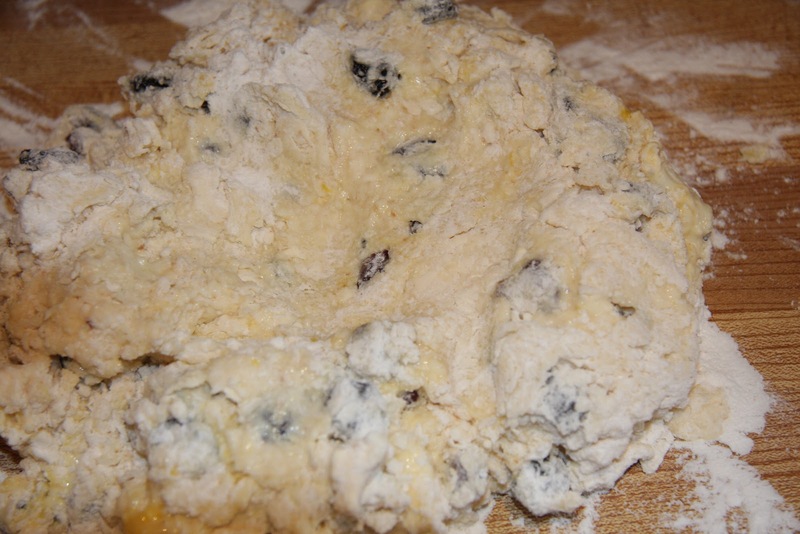 Shape the dough into a square and gently roll out into an 8 inch square. 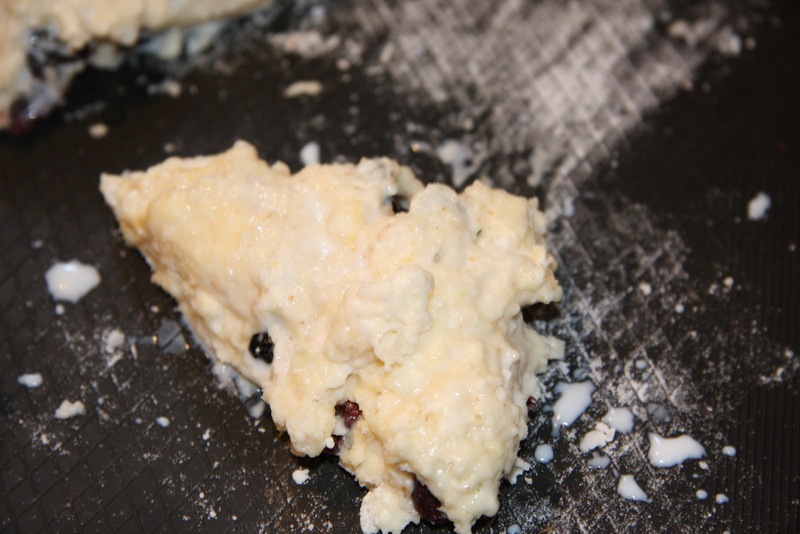 Cut the dough into 16 square scones, then place them onto the prepared baking tray, leaving one inch between them. 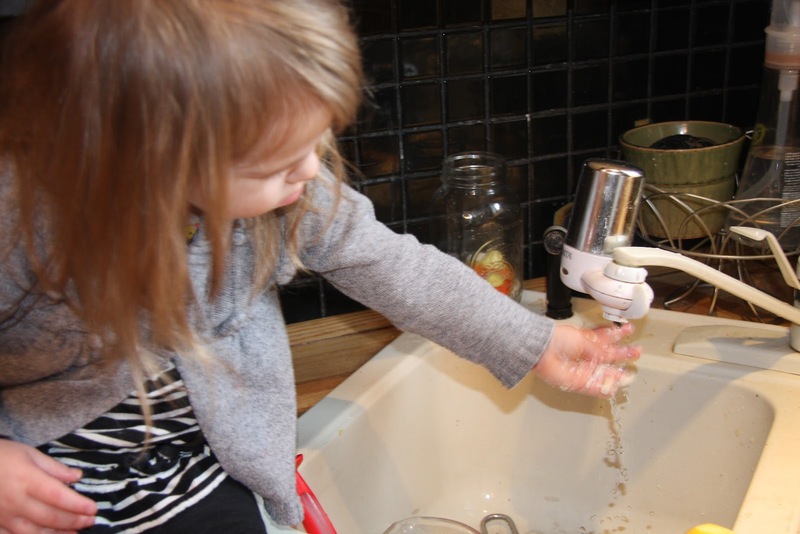 Wash hands for a really long time. Brush the scones with milk and bake for about 15 minutes, until they are an even golden brown. The scones are best served the day they are baked, but can be reheated the second day for 5 minutes in a 300F oven to refresh them. We did not have any leftover to refresh. These look amazing! I love scones! Great pick! Thanks so much for your kind words about my blog. So glad these scones turned out for you. 😀 They look fantastic and I bet they tasted great with dried cherries (I LOVE cherries)!! Lovely being in group C with you. Oh, how I love scones!! Unfortunately for my waistline I've yet to meet one I didn't like and these I'm certain would be no different. Love that photo with the red checks!! Beautifully done! And I love the addition of dried cherries…yum!!!! I have decided there is almost nothing better than scones. Glad you found a recipe that works for you! Your pictures look amazing. You cant go wrong with scones. You picked a great one for SRC. Scones scare me too for some reason. Yours turned out fabulous! Your scones look delicious! I love the addition of currents….yum! Great SRC choice. I've never made scones, these look delicious! I've only just started making scones about a year ago and I'm hooked! Great SRC recipe! I love scones and have eaten them for years, yours look magnificent and need some right now ;)Great post. I am a scone fanatic! I love me some scones. Especially with a bit of butter and apple butter! Soooo good! Scones are one of my favorite food categories! I would also use dried cherries, love those.Uncooked scones freeze beautifully, flash freeze them and put them in a freezer bag. That way I can cook a scone just for me any day.Great SRC pick. 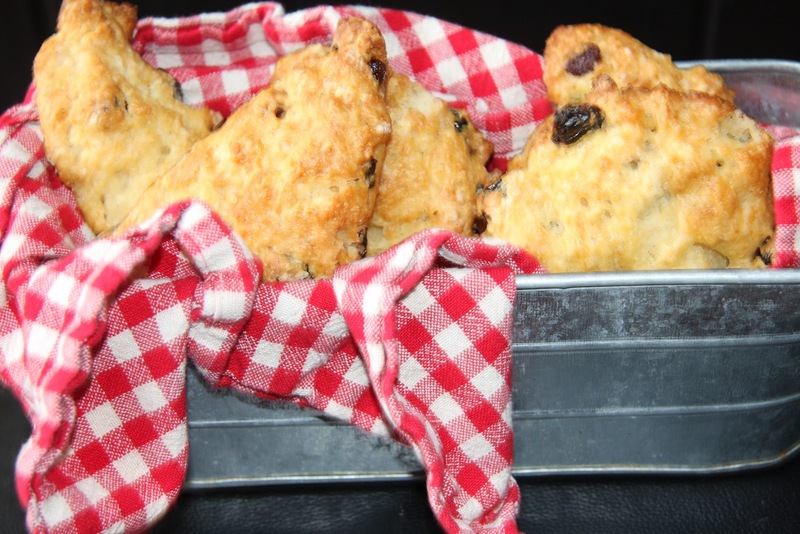 I adore scones and we wouldn't have any left to refresh either…LOL!! These look great, and they sound delicious!